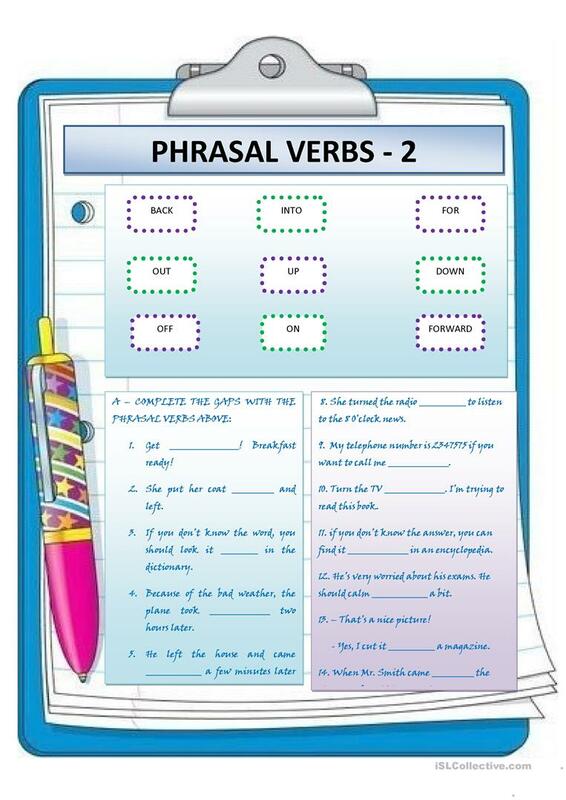 phrasal verbs - gap filling. key inckuded. The above printable, downloadable handout was created for business/professional students, high school students and adults at Pre-intermediate (A2), Intermediate (B1), Upper-intermediate (B2), Advanced (C1) and Proficient (C2) level. It is great for teaching Phrasal verbs in English, and is useful for working on your pupils' Spelling, Reading and Writing skills. It includes the solutions, too.